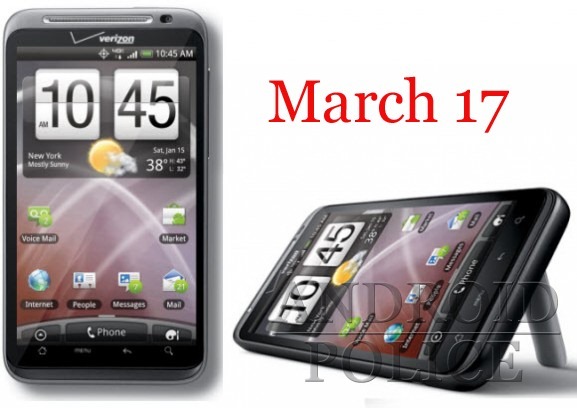 We have learned from a number of trusted sources that the much-anticipated HTC Thunderbolt will launch this Thursday, March 17. We have also learned that online retailer Wirefly will be offering pre-orders starting at midnight (PST) tonight. The site's Thunderbolt page has not yet been updated to reflect this, but they announced it via their Facebook page. Verizon's first LTE smartphone lists for $249.99, but Wirefly is promising a "special price" for their customers. After a series of frustrating delays and false rumors, anxious Verizon customers can now breathe a sigh of relief as the launch is finally concrete. Are you one of the many that are relieved to finally be able to purchase it, or have you already given up and jumped ship? Let us know in the comments.